The Chiefs signed wide receiver Kelvin Benjamin late Tuesday. The 27-year old wideout was released by the Bills early in the week and went unclaimed on waivers. His first visit wound up being with Kansas City. After the visit, Benjamin signed a one year deal through the rest of the season for around $185,000. Let’s take a quick look at Benjamin’s career so far. Benjamin is a former first-round pick from the 2014 NFL Draft. After leaving Florida State, the Carolina Panthers selected Benjamin 28th overall in 2014. That rookie season was his best statistically of his career. He hauled in 73 catches for just over 1,000 yards and reached the end zone 9 times. In 2015, the Panthers reached the Super Bowl and also won a franchise record 15 games in the regular season. But, it was without Benjamin, who tore his ACL in August before the season. Coming off the injury, Benjamin had a respectable 2016 campaign. Benjamin’s numbers were just under his rookie totals: 63 receptions, 941 yards, 7 touchdowns. 2017 was a season where Benjamin began the year in Carolina, but at the trade deadline, he was moved to Buffalo. The Panthers felt they had faster receivers and felt Benjamin’s production was redundant. With the Bills from 2017-18, Benjamin simply didn’t produce. Now some of that could be the fact that the Bills have been in transition with the quarterback situation during that time. But given the size and length that Benjamin presents. Plus, the shape that those in Buffalo were saying Benjamin was in, it was a disappointing stint with the Bills. Benjamin only had 39 receptions in 18 games and just a couple of touchdowns with the Bills. So that’s why many were shocked when the Chiefs signed him late Tuesday. There is both some upside and downside of the Benjamin signing. Let’s break them down. It’s a low-risk move. The Chiefs are not giving Benjamin a ton of money and he’s only signed through the rest of the season. He joins Andy Reid and Patrick Mahomes. If there’s anybody that can and motivate Benjamin at this point in his career, it’s Andy Reid. This exciting, exuberant team that is playing really well may help as well. The plays and concepts that Reid designs and dials up may give the separation that Benjamin has been unable to create recently. Benjamin could fill a void in a couple of instances. With the release of Kareem Hunt and Sammy Watkins being banged up the last couple of weeks, Benjamin could add just enough of a spark to Patrick Mahomes’ arsenal. Also with his size, Benjamin may be an asset for Mahomes in the red zone. What’s his work ethic going to be like? We have always heard a lot about Benjamin possibly being in shape, but the production isn’t there. There was reportedly a time earlier in the season where Benjamin refused to get more work in with rookie quarterback Josh Allen before the Bills game against the Texans. How reliable can he be? We don’t know exactly how much chances Benjamin will get to produce, but will he be able to do enough when counted on? We can not just assume that Benjamin will be able to make all the right plays and come through in big moments because his track record hasn’t shown that lately. Thank you for reading. 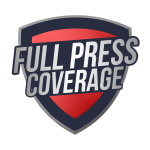 For more NFL news, be sure to check out Full Press Coverage daily. Next articleFPC Buccaneers Round Table: Can Dirk Koetter Save His Job? Which Opposing OC Should the Raiders Not Fear?